I just wanted to let everyone know about a bargain DVD to download for $0.10! instead of $14.95. Yes, just 10 cents, or around what 7p here in the UK, and those of you elsewhere, well you can work it out. It's obviously more about using a spindle than a spinning wheel, but I am sure it would interest many of you and the skills of using a spindle transfer to using a wheel too, whichever is your preference. of incredible yarn with this amazing yet simple tool. The result? Spinning will become your take-along, anytime, anywhere craft. You won’t want to leave home without it. From looking at the reviews the quality may be of medium quality at times but hey for such a small amount of money who would grumble. I have downloaded it and taken a peek but haven't watched it all yet, but what I have seen looks good to me. Hope you enjoy it if you choose to. 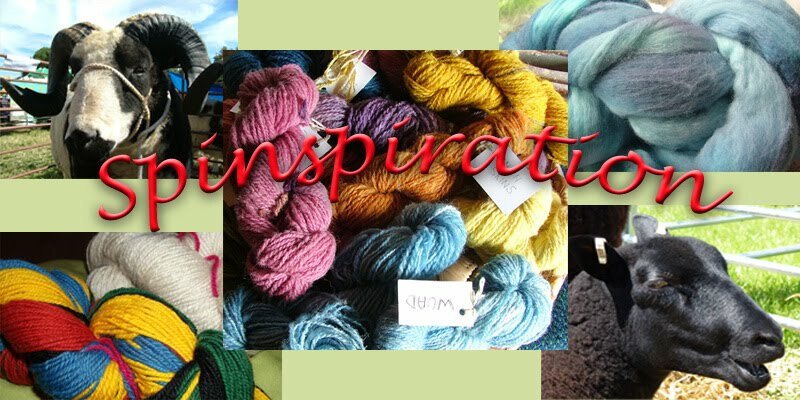 See you all next week for the May Woolly Wednesday on May 4th, look forward to seeing what everyone has been doing, link to us on the day so we can share our creative spaces together. The linky will be on the blog late afternoon/early evening (UK time).